LFC win first four league games - what happened next? Liverpool maintained their 100 per cent start to 2018-19 with a hard-fought 2-1 win at Leicester City before the international break. The Reds had never previously won their opening four games of a season in the Premier League era, but did so courtesy of goals from Sadio Mane and Roberto Firmino at King Power Stadium. However, it's not the first time they have kicked off a top-flight campaign with a quartet of successive victories. In fact, Liverpool achieved the feat on three occasions before this term, most recently in 1990-91. But what happened next? 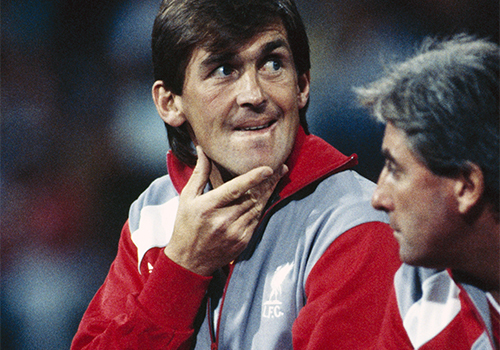 Kenny Dalglish's Liverpool began the 1990-91 season as defending champions having secured the third league title of the Kop hero's managerial reign - and the 18th in the club's history - that May. 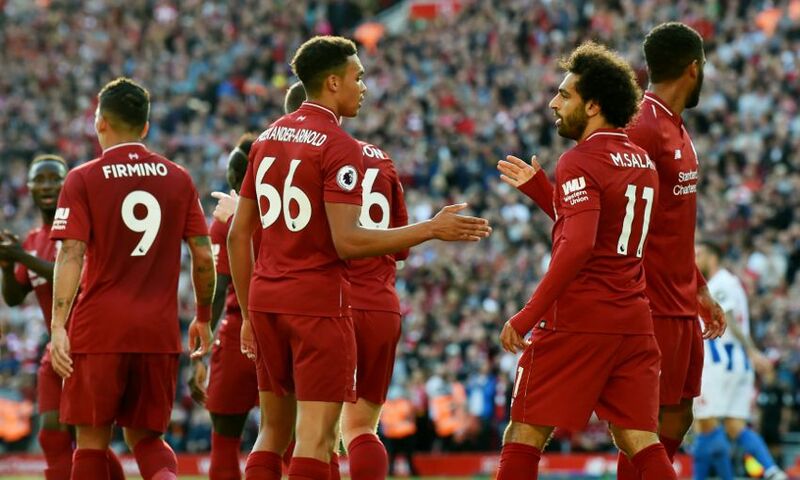 The Reds started the new campaign with an eight-match winning streak that included a 4-0 victory over arch-rivals Manchester United and 3-2 derby day triumph against Everton. Dalglish's men led the league for much of the first half of the season, but then, in February, following a thrilling FA Cup tie against the Toffees, the Scot stunned the club and the football world when he resigned with immediate effect. "In the dressing room after the 4-4 with Everton no-one had an inkling of what was to follow," Liverpool forward Ray Houghton told The Guardian. Ronnie Moran assumed control on a caretaker basis, with former Reds skipper Graeme Souness brought in from Rangers as the permanent manager on April 16, with just five games remaining. Liverpool finished the season in second place, seven points behind an Arsenal side that lost just one league match under George Graham. 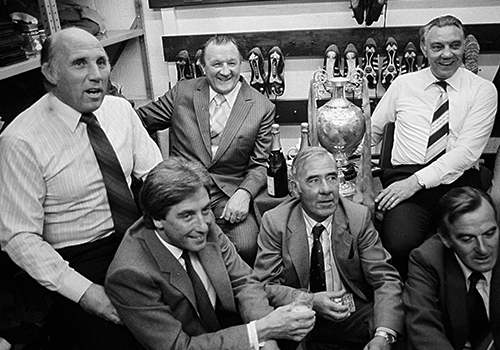 Bob Paisley's European champions began the 1978-79 season seeking to wrestle the Division One title away from Brian Clough's Nottingham Forest, who had emerged as Liverpool's biggest rivals for silverware. With Dalglish and Souness in top goalscoring form, the Reds opened the campaign with six wins on the bounce, including a 7-0 rout of Tottenham Hotspur at Anfield, before being held to a 1-1 draw at West Bromwich Albion in September. In their next match, the Reds were knocked out of the European Cup by Forest, but Paisley's men would have revenge, beating Clough's side 2-0 at Anfield in December to stay top of the league and ahead of Gordon Lee's high-flying Everton. The Toffees would drop away as Forest emerged as challengers but there was no catching a Liverpool side in sensational form. Dalglish netted 21 times to register his highest-scoring league campaign with the club, goalkeeper Ray Clemence kept an incredible 28 clean sheets and Paisley's men secured the third title of his tenure with a record-breaking tally of 68 points (two points for a win). Clough's Forest finished second, eight points off the pace, although the East Midlands side lifted the European Cup and retained the League Cup. 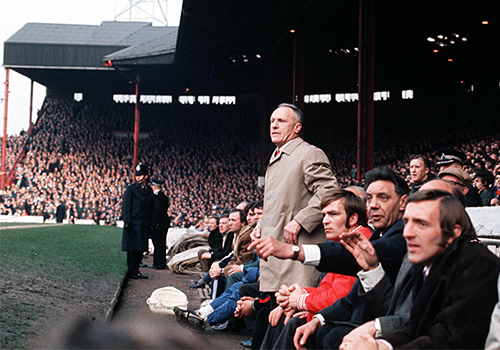 Bill Shankly's Reds won their first four games before being held to a 3-3 draw by Burnley at Anfield, and then continued a nine-match unbeaten run that put them on top of the league in early September. The season looked to be full of promise for the previous term's runners-up to Don Revie's Leeds United, but the 1969-70 campaign transpired to be one of significant transition. Fan favourite 'Sir' Roger Hunt - Liverpool's top goalscorer eight years in a row from 1962 to 1969 - left the club to join Bolton Wanderers in December and further dismantling of the great side from the 1960s was to follow. The watershed moment came in February, when Liverpool suffered a humiliating 1-0 FA Cup defeat away to Second Division team Watford. "The breaking-up process began there," Shankly later explained. "After Watford I knew I had to do my job and change the team. I had a duty to perform to myself, my family, Liverpool Football Club and the supporters." Liverpool eventually finished fifth as Shankly set about rebuilding. Out went stalwarts such as Ian St John and Ron Yeats and in came the likes of Steve Heighway, John Toshack and Kevin Keegan.